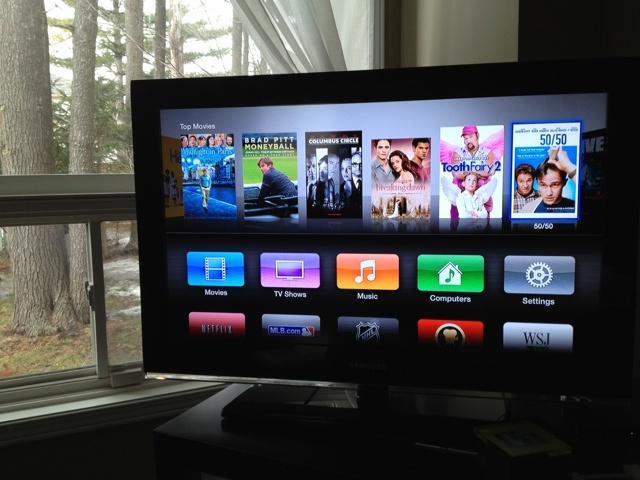 Apple had recently released the third-generation Apple TV on the iPad 3 announcement event in the start of this month. The new third-generation Apple TV comes with revised hardware updates, despite simple new support for the 1080p video playback on the larger screens and the new refreshed UI within the software. Then the new refreshed UI for the third-gen Apple TV also came for the older gen-Apple TV 2 as well with a single software update, but still no 1080p video playback support. The new user-interface of the Apple TV 3.0 and Apple TV 2.0 comes as a major overhaul to the device interface, and being criticized by the couple of users after updating the UI interface with a new update of Apple TV. The new Apple TV UI looks like out-dated Web 2.0 running inside the console, and those shinny buttons look pretty bad on the screens. However, today it is revealed by the former Apple TV engineer, Michael Margolis that the original Apple TV 3.0 design was refused by Steve Jobs many years ago, but still the company UX designer tricked to kick out the design. @aral Fun fact – those new designs were tossed out 5 years ago because SJ didn’t like them. Now there is nobody to say “no” to bad design. It appears that Apple engineers are now pretty open to take their own decisions within the company, and even achieved the rights to dismiss the Steve Jobs decisions. While some users have liked the new Apple TV UI design, but at the same time many users also heavily disliked the new UI update to Apple TV.